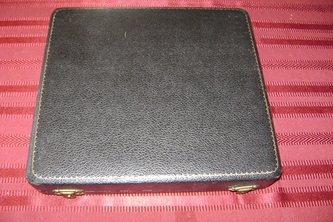 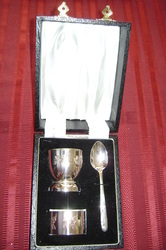 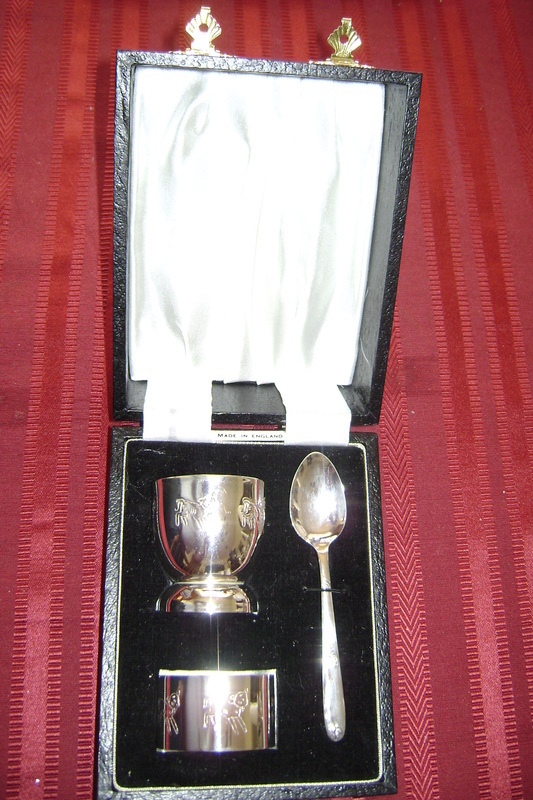 Made in England Childs silver plate breakfast set by Angora. 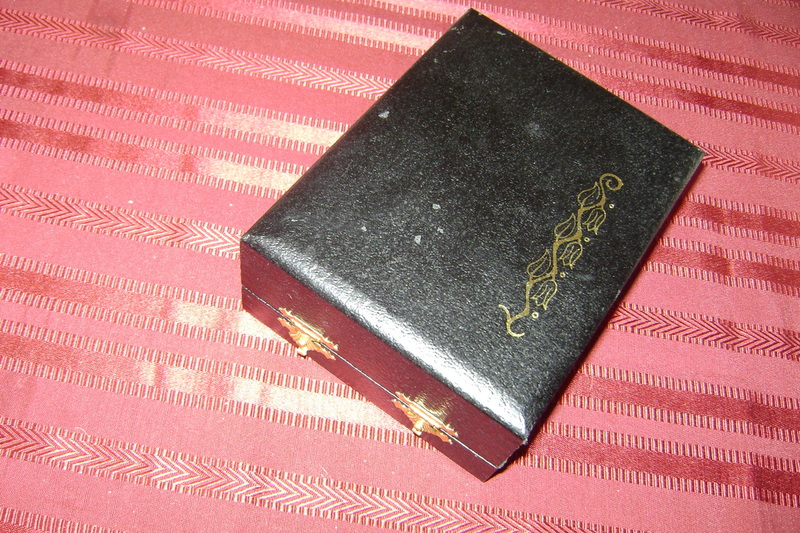 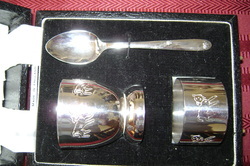 Egg cup, Napkin ring and spoon in a presentation box. 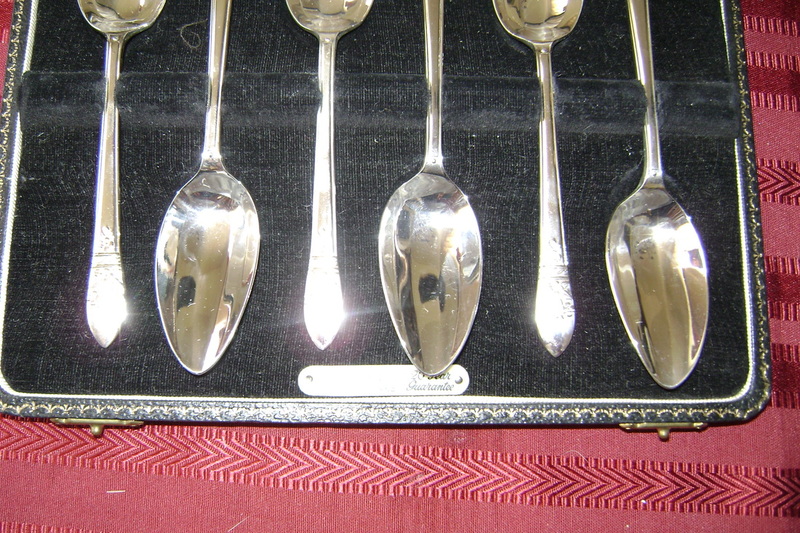 Born with a silver spoon in your mouth? 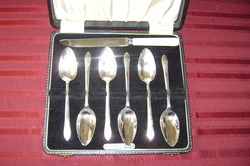 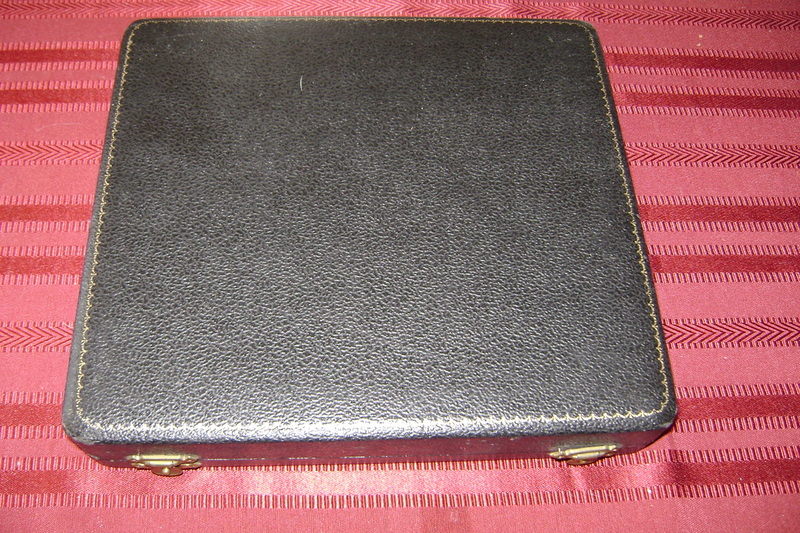 Made in England Angora silver plate grapefruit set in deco style. 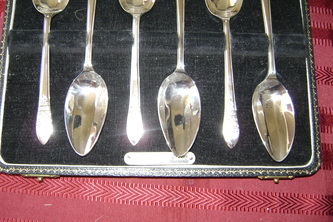 6 spoons and serated mother of pearl handle knife in presentation box.